The Chipset: Are Nvidia or Intel Chipsets The Best Choice? Which Are the Best: Nvidia or Intel Chipsets? The chipset is a set of integrated chips on the motherboard that control communications. After installing, you will need to review a number of elements and parameters: northbridge cooling, cpu speed comparison and motherboard cpu combos efficiency (or not). In computer terms, chip set is used to refer to sets of specialized chips on the motherboard. 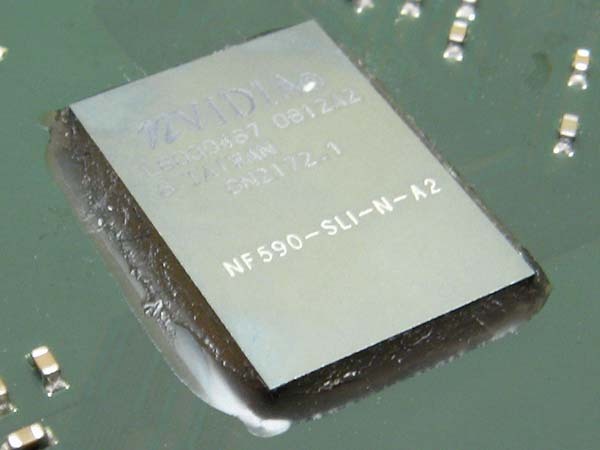 These chips control communications between the components of the motherboard and the CPU. The main ones are the Northbridge and Southbridge. 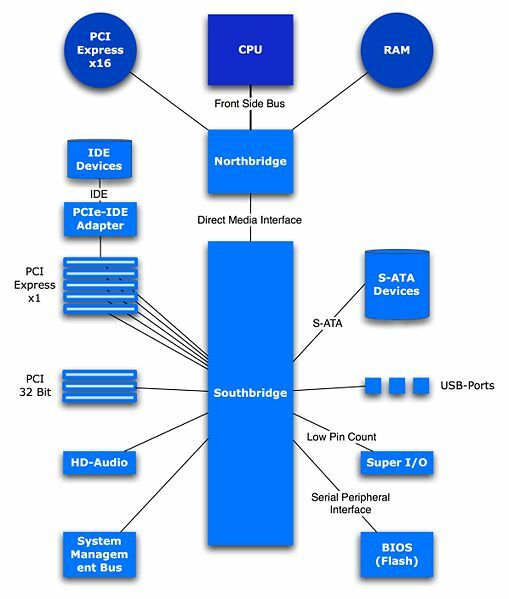 The Northbridge will help determine the Front Side Bus (FSB) speed of the motherboard. This is the speed of the link between the CPU and the memory. The trick here is to match up your memory with your Front Side Bus speed. If your memory speed is slower, than you will create a bottleneck at that point. Keeping your memory speed equal to, or higher than, your front side bus speed will ensure that no bottleneck exists between the CPU and memory. In the below image, the you can see the Northbridge on the right, and the Southbridge on the left. Both have cooling heat sinks over them. If you are interested in more information, visit this in depth article. It's an older article, but still applies to current motherboards and motherboard cpu combos. Personally, I have always liked the Nvidia chipsets (although the Intel chipsets are also very popular). They package their setups with 7 channel audio and Gigabit ethernet connections. They support their chip sets continuously and are always improving on them. The Nvidia support website is excellent and easy to use, with the latest drivers always available. I have always found Nvidia to be just a bit higher quality. When looking to purchase a motherboard, there are a couple things to keep in mind. 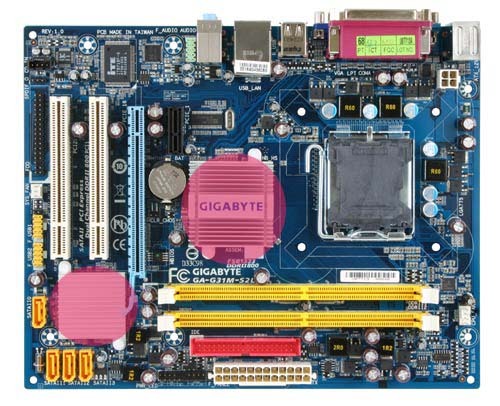 A higher Front Side Bus will speed up the internal workings of your motherboard. If buying a motherboard cpu combo or bundle, review cpu speed comparisons first - you might not need the fastest, but you should make that decision knowingly. The North and Southbridge are not upgradable. What is on the motherboard is there for life - so select your chip set wisely.